Though the concept of channeling is ancient, it can be both mystifying and unsettling to those unfamiliar with the process. Here's an inside look at this often misunderstood occupation. resources. Way beyond! And while you undoubtedly chase answers for your own set of head-scratchers, you may find as I did, that channeling yields meaningful responses that are otherwise difficult to find. But what is channeling, anyway? Some new age hocus pocus? A mystical touch of the Divine? An anomaly of a delusional mind? Something con artists claim to do? A genuine spiritual tool? Depending upon the context, it could be any of the above and then some. But to many on a spiritual path, channeling is a way of communicating between levels of consciousness. It’s an interdimensional phone call of sorts. This is not a new concept. History is filled with examples: The Oracle of Delphi, the Apostle John (see Revelation 1:1-2) and others. More recently, Alice Bailey and Edgar Cayce are notable examples. Channeling has been used since ancient times to access information beyond common knowledge and a person’s usual awareness. It may take many forms. Telepathic communication with other people, animals, plants, Earth/Gaia; communication with nonphysical beings (departed loved ones, angels, guides); intuitive flashes, and creative inspirations can all be considered forms of channeling. * Trance Channeling: where the mind/personality of the channel is “asleep” or unconscious while another presence uses his or her body to communicate. * Full-Body Channeling: where the channel’s consciousness/soul leaves and entirely and a different soul or entity inhabits and animates that body to communicate. * Conscious Channeling: where the channel is present and aware of the communication taking place, but stands aside as an observer while another consciousness or soul communicates through them. Some people make a distinction between a channel and a medium. Many mediums are known for communicating specifically with the deceased, whereas channels are known for communicating with angels, with beings who may or may not have incarnated on Earth, those who dwell exclusively in other dimensions, or who have transcended physical reality (Ascended Masters). However, perspectives vary on this point. How one defines this role isn’t as important as understanding that such distinctions exist. mannerism while the non-physical being is present. The eyes of the channel may be opened or closed. The non-physical presence may use the channel’s body to walk and to perform other physical functions. audience, it is not necessarily intended to be spiritually progressive or uplifting. Ghosts and some 4th dimensional (astral) entities from this and other worlds fall into this category. In any channeling, know your intention/purpose and take only what you feel serves you. Leave the rest. Being open-minded means being open to your own inner wisdom too. As with any situation, discernment is both practical and wise. transcended illusion, and realize their oneness with Source/God, are not subject to unconscious ego whims, fears, or desires to manipulate. They work to benefit humanity, uphold an individual’s free will, and are unconditionally loving. Uplifting and empowering others, their understanding of the human condition makes them very compassionate, supportive, and inspiring teachers. A dialogue with a Unity Consciousness Being is a transformative and life-enhancing event. realizing I was hungry, there was no distress. No debate. Just get something to eat. Guidance led me to the book, Opening to Channel by Sanaya Roman and Duane Packer. 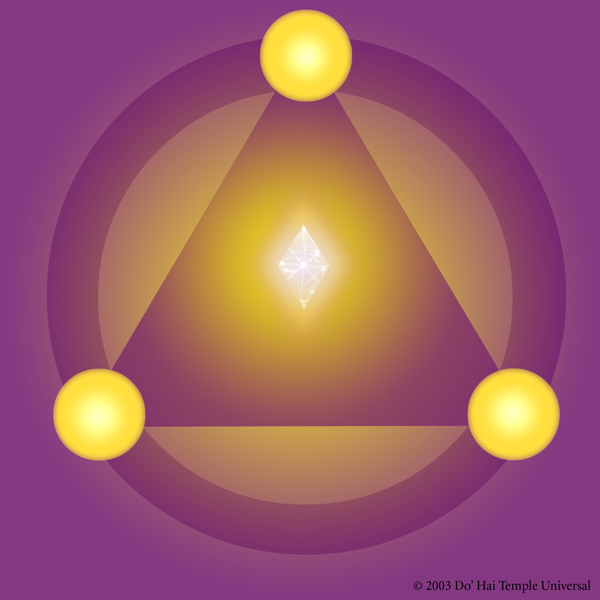 Following their directions, I intended and subsequently opened to the highest guide aligned with my life path. The relationship with that guide (and many other Light Beings eager to share with me) grew steadily. came here to do. We'll be in touch.” Three months after that experience, combined with a series of seemingly unrelated synchronicities, I moved to Western North Carolina. When I started channeling, I was grateful for the guidance I received. I never suspected that I might one day serve others in this manner. After all, with few exceptions, people would think I was either nuts or possessed or both. I had tried channeling for my one metaphysical friend who was psychic enough to see the guide overlighting me. The Presence was strong. The impulse was there. I just couldn't let the words flow. Yet, upon arriving in Asheville, NC, that block dissipated completely. Within days I was channeling regularly for people I met and was soon invited to channel at local groups. That was 1994. I've been at it ever since. As a conscious channel, I am aware of the communication between the guide/Master and those we serve. As I attune to their presence, a soft, tingling glow envelopes my body even as a profound radiance of Love and Peace saturates the room. It’s spa time for your spirit. Then the dialogue commences as I follow along. I channel eyes open, though it didn't start this way. That inspiration came after an encounter with another channeled teacher. Acquaintances of mine, a marketing team representing Jani King and P'Taah at the time, asked if I'd like to team up with them and a couple of other channels for what became later known as the "channel panel." I, of course, readily agreed. They, of course, wanted to witness my work in advance. During that meeting Jani, a full body channel, graciously agreed to channel P'Taah for a brief encounter. Her (His) eyes took on a brilliance and depth I'd never experienced before -- a gaze that billowed unconditional love, acceptance, encouragement. I realized then that looking into the eyes of pure love as the guides communicate is a profound experience that communicates so much more than words could ever say. I had to make that experience available in my own work. When channeling, my facial appearance changes, as does my voice according to which guide is present. We gesture and walk around, through their movements are more graceful and fluid. We've also shared walks in the woods, wading streams, and eating, though the guides eat at what I would consider a painfully slow pace (my lesson in patience). But when they do eat, I feel every texture and taste what seems like every molecule of the food (my lesson in appreciation). For them, everything is a spiritual teaching. Until Chokai, the Master I've channeled longest, I didn't realize what profound wisdom could be gained from munching chips and salsa! Though I get a little spacey afterwards, their presence is uplifting, never draining. My body pleasantly “hums” for an hour or more. Specifics of the dialogue fade like a dream with the exception of guidance I recognize as personally relevant. Over the years, I've heard people express concerns about channeling. They believe that the channel’s ego/personality adversely influences the guide’s communication. Though that’s apparently true for some channels, this is not necessarily or always true. In cases where this appears to be so, it is more likely that the person is actually “channeling” aspects of their own personality rather than a guide. This can easily happen if the channel is not sufficiently perceptive or discerning. The “guide” may appear to be another entity, when it is really an individuated aspect of the channel’s ego. The channel may also be channeling a 4th Dimensional being that is knowledgeable, but not spiritually evolved. That’s why using your discernment, knowing spiritual truth and listening to (and from) your Heart, is so important. But that’s true of any interaction. It is also possible for people to misinterpret a guide’s intent or meaning. isn’t appropriate to do so. (feeling-oriented) personality construct. They often teach through analogy and metaphor, facilitating transformation while providing useful teachings. They emphasize “how” over “why,” showing people ways to manifest their intentions rather than to simply predict what might happen. Each type of channeled material serves a purpose for its intended audience. Not all channels are alike. It’s a matter of finding what resonates with you. Generally, the higher the guide, the more simplified, comprehensive and spiritually progressive their teaching is. potentially life-changing wisdom. Or find a channel that presents information most aligned with your priorities. Many people are naturally skeptical of such strange phenomena and rightfully so. I've served several confirmed skeptics over the years. But my attitude (and that of those I channel) is, it doesn't matter to me if you believe I'm channeling or not. That you benefit from what we share is sll that matters. © 2003. Jaraan Onai, author of The Path Of Oneness and founder of Do’Hai™ Facilitation is a channel, mentor, and healing facilitator helping people internationally awaken and create happier, healthier, more fulfilling lives. He may be contacted at 828-348-0283 or visit http://soulgate.byregion.net.